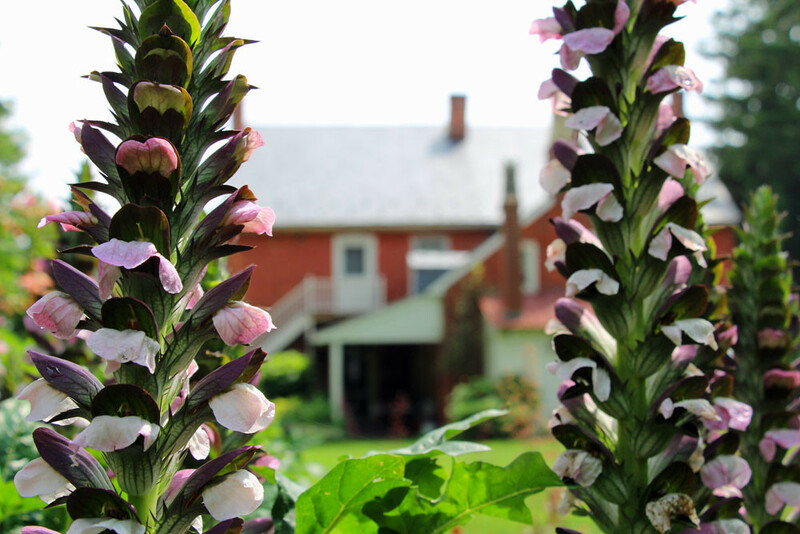 Mussers’ Historic Country Suites Lancaster vacation rental is located in the former New Providence General Store in the charming village of New Providence. 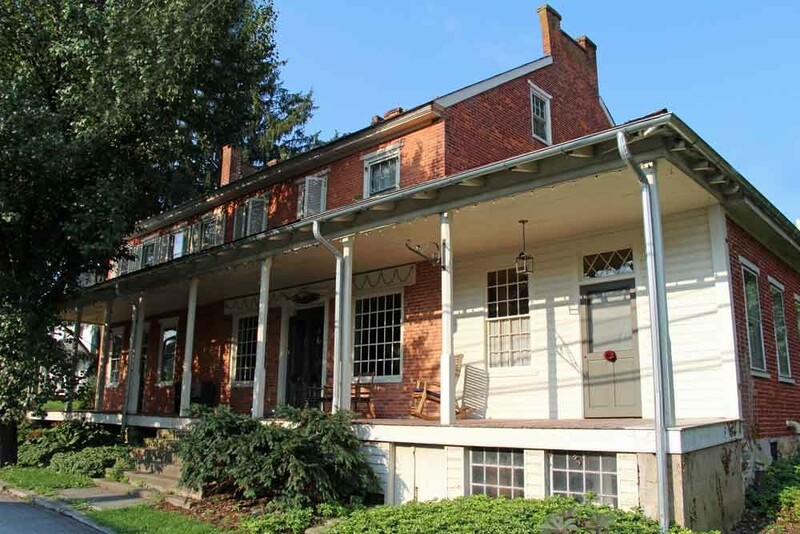 The store dates back to the early 1800s and was built in the federal style. 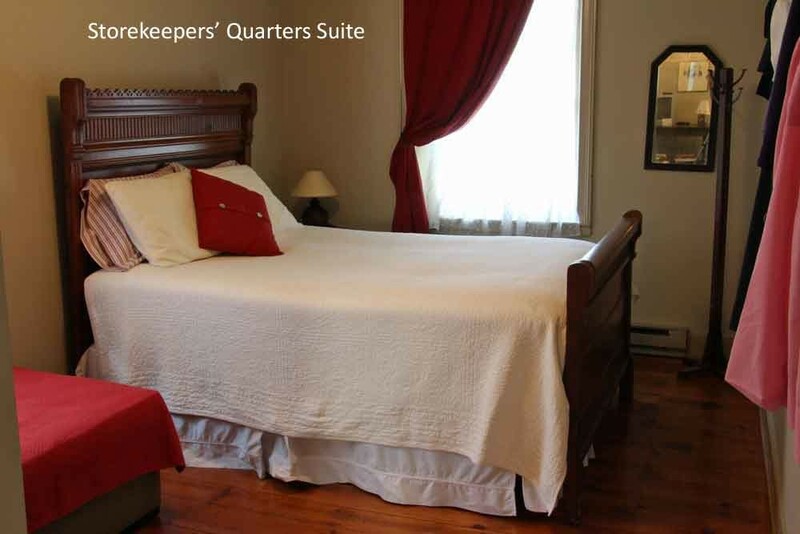 We offer two suites: The Storekeepers’ Quarters and the Old Post Office. Both suites contain bright, great rooms, full kitchens with sitting and dining areas. 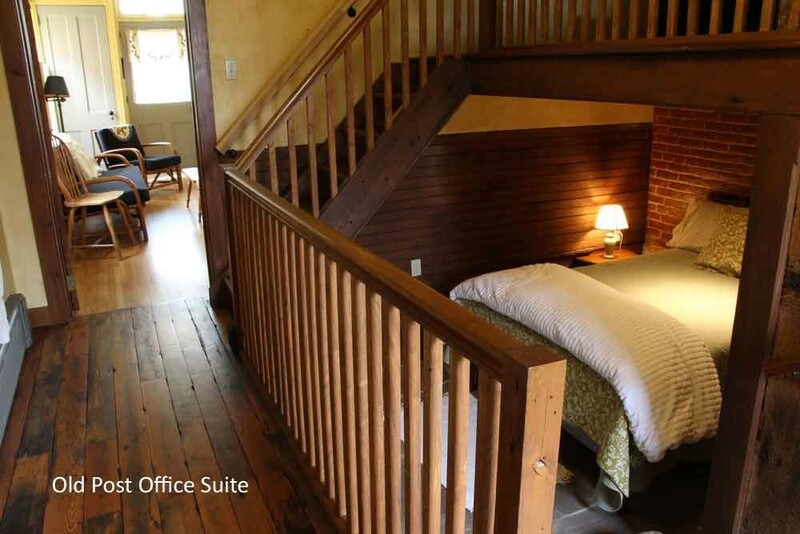 Especially popular is the bedroom of the Old Post Office suite that features beds on three different levels, including a king-size lofted bed that overlooks a Lancaster County farm scape. Each suite offers a private bathroom with a walk-in shower and separate entrances with keys. 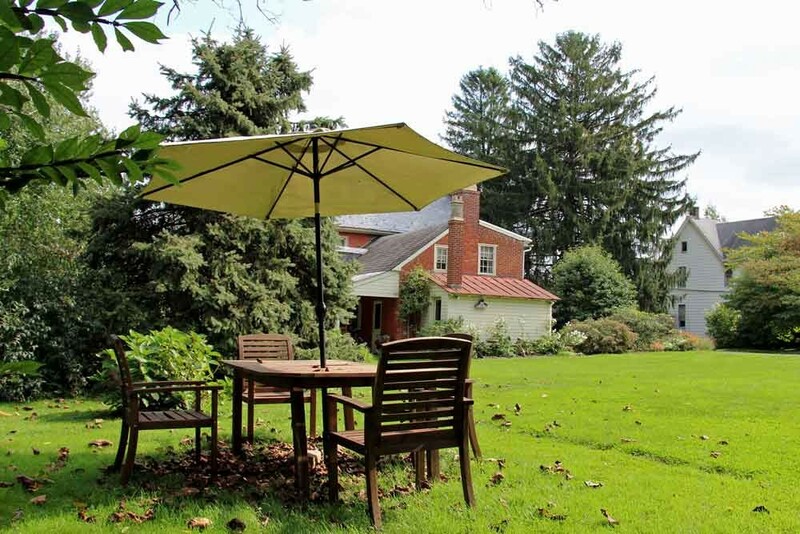 We are located just a few miles from Strasburg and within several minutes drive of most Lancaster County and Pennsylvania Dutch country attractions. 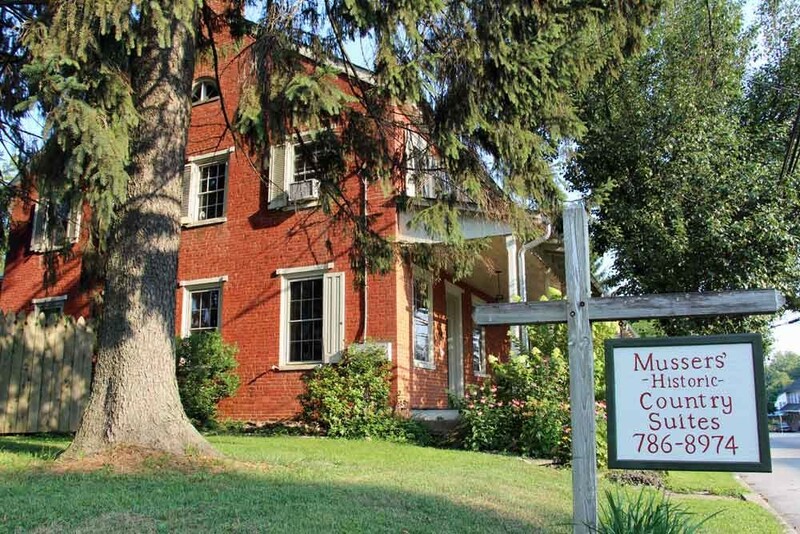 The outlet malls, Sight and Sound Theater, and the Strasburg Railroad, for example, are all a short, 10-15 minute drive away. 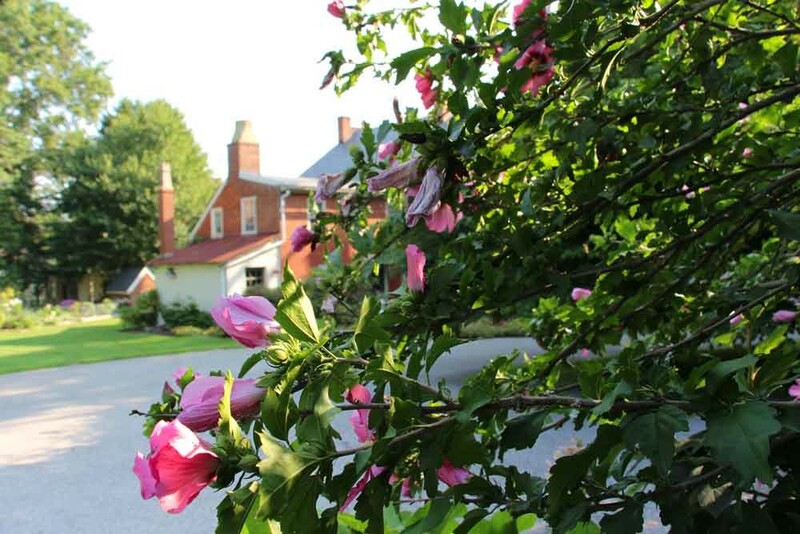 Our historic country suites are open year ’round. Although our suites are spacious and can accommodate a number of people they are popular stays for one or two persons. 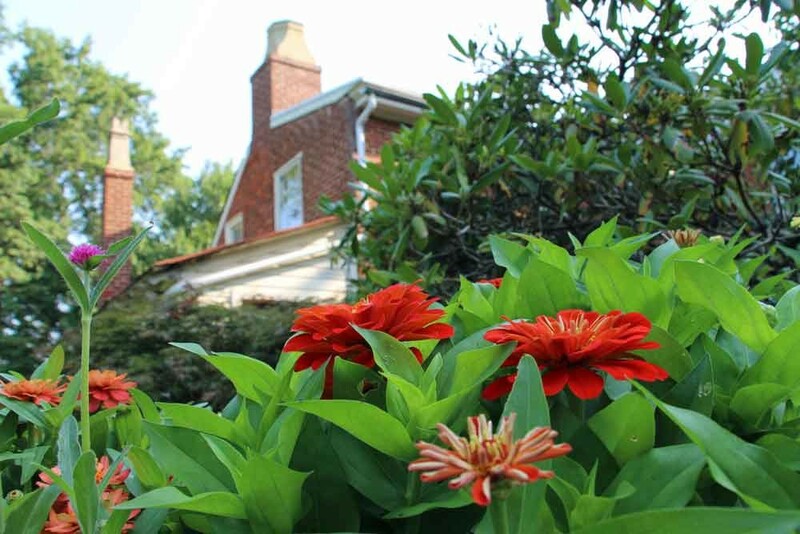 Our prices are set up to make our suites affordable for all who come. We have many guests who rent both suites for larger groups of families and friends and use the large common area to meet and socialize. Children are very welcome as well as those who may have walking limitations. 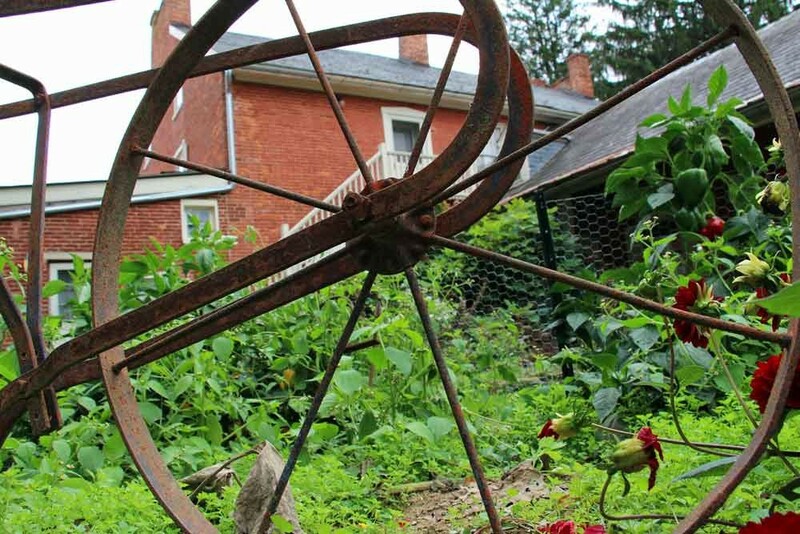 However we do have small stairways, steps and lofts that guests and parents should take into consideration when booking with Mussers’ Historic Country Suites. 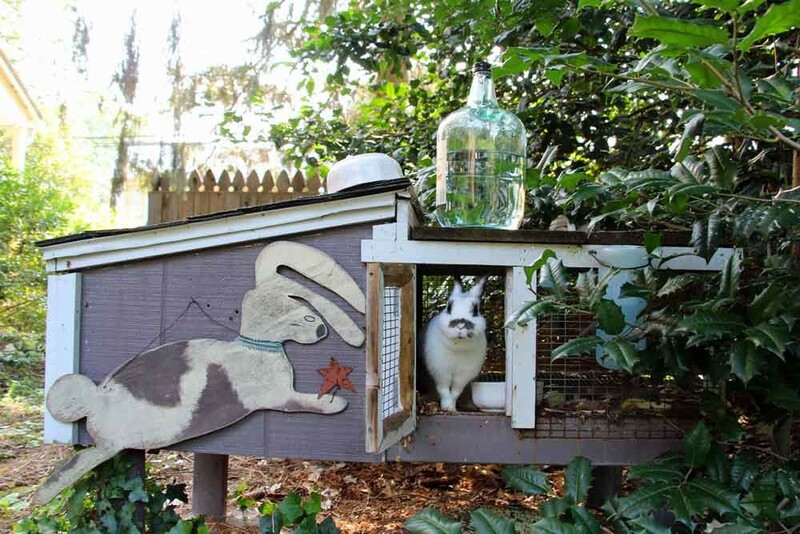 Because of our concern for other guests, we are sorry that we cannot accommodate pets or smoking in our suites. 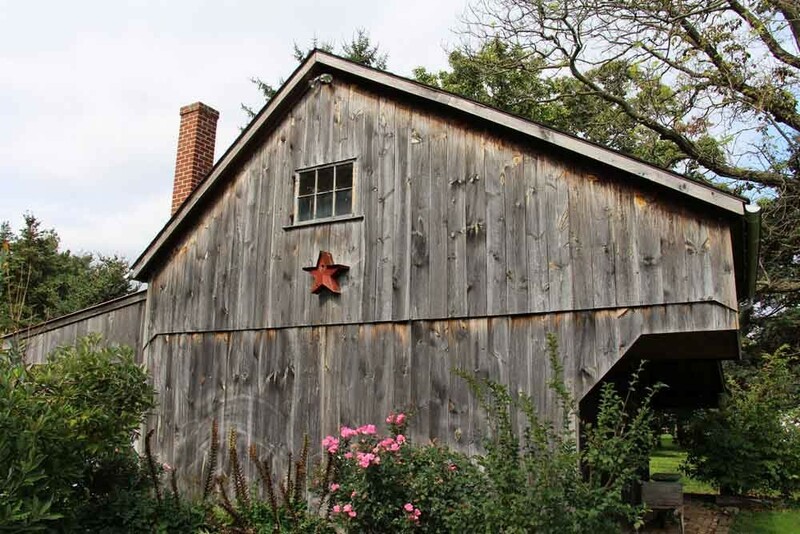 In 1825 the Peoples family built these sunny accommodations for themselves and lived in them until their business grew and they could afford a bigger house for their growing family. 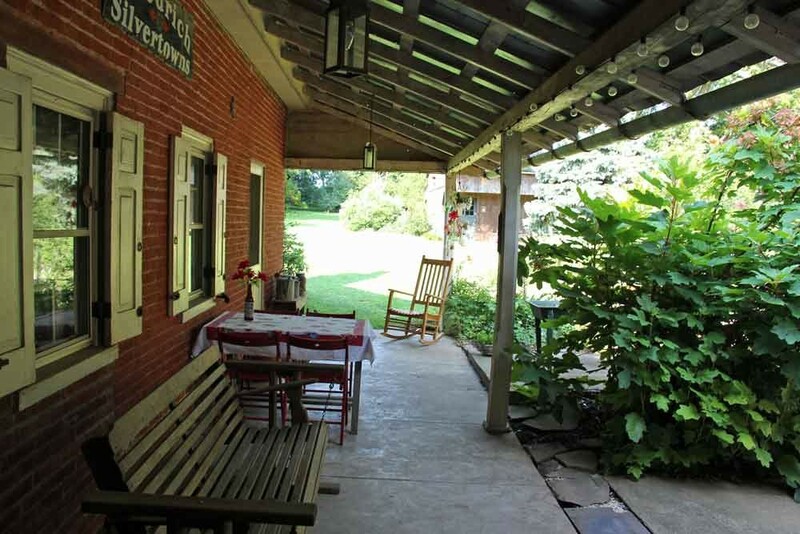 The more traditional of the two suites, these quarters are on the second floor with a good view of Main Street, the little house over the root cellar, the Mussers’ gardens and the expansive back yard with mature trees and open spaces and seasonal raspberries. In the suite’s east bedroom there is a queen-sized bed as well as a twin-sized pull out bed. The west bedroom has a king bed and a twin loft bed. In the living room is a queen-sized pull-out sofa and a pack and play for an infant or young child. 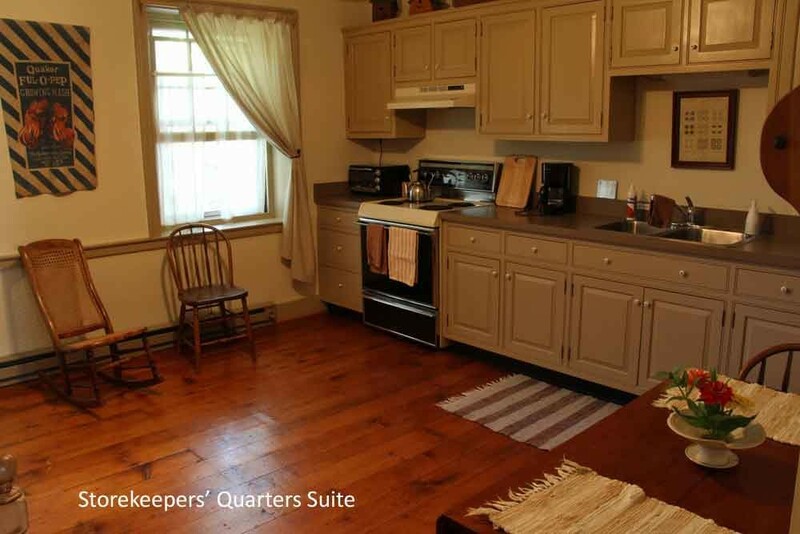 The kitchen has a trundle bed that serves as a sofa and a twin bed when needed. 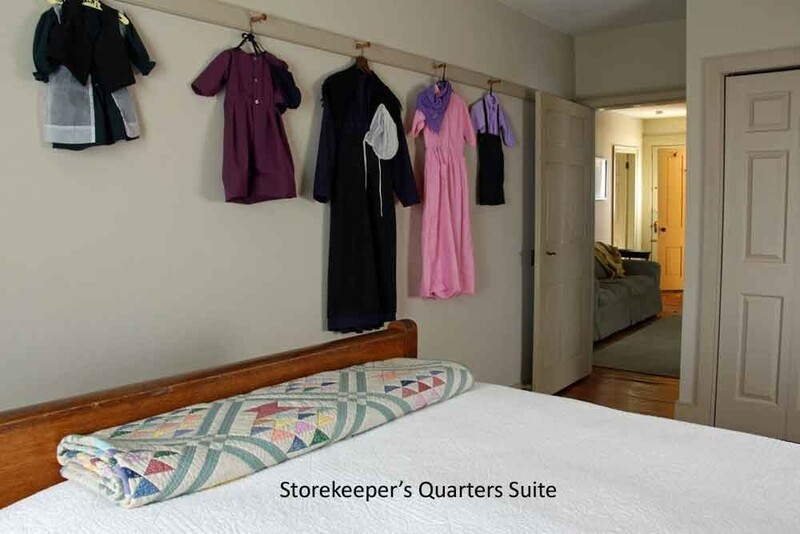 The Storekeepers’ Quarters costs $125 per night. This rate applies for up to 2 guests. Extra guests: Please add $20 per adult per night. Children 12 and under are $12 per night. 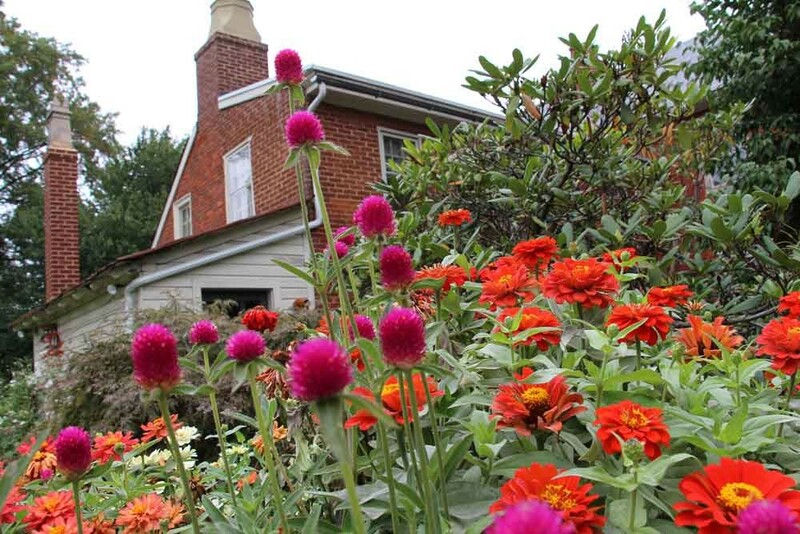 A two night minimum stay is required on weekends from May to October. 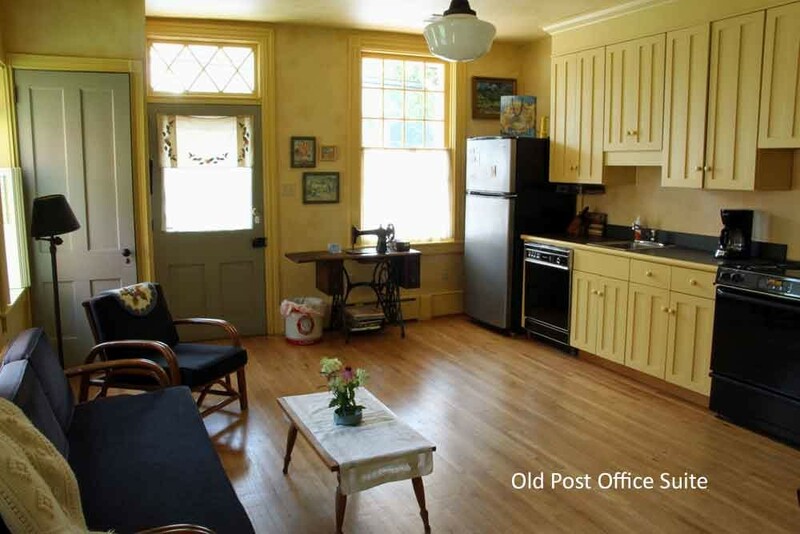 This suite used to be the Post Office for the village of New Providence. 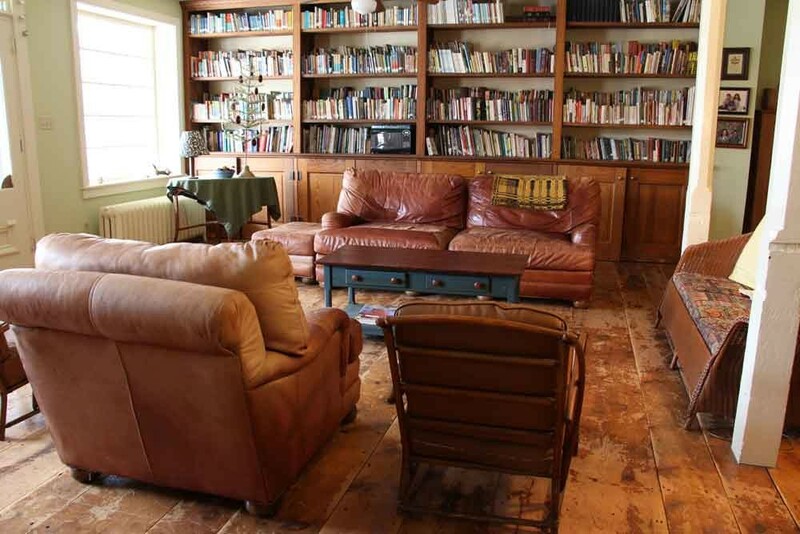 It has an exposed brick wall, old wood and stone floors and lots of windows and closet space. There are enough beds to accommodate 5 people. In the sleeping room of the suite there are different levels. At the room’s highest level a king-sized bed has been built into the wall. 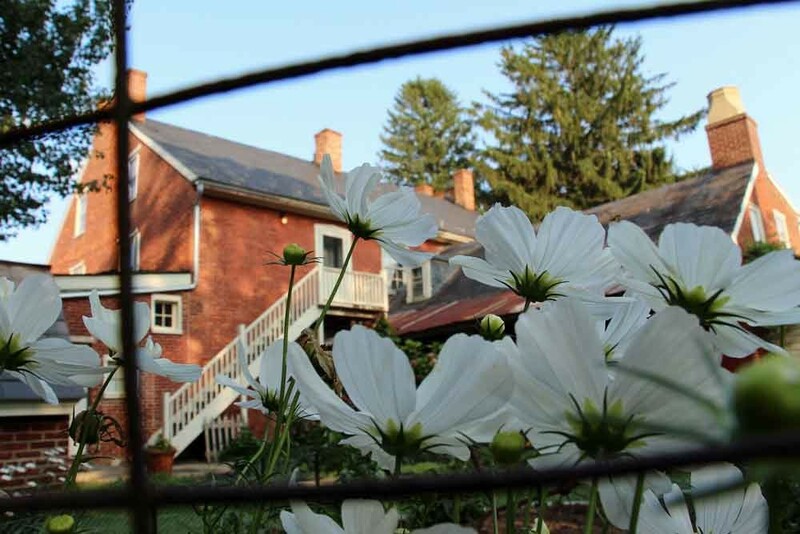 A small window from the bed overlooks the flower garden, barn and Amish fields beyond. A twin-sized day bed in the middle loft sleeps one and on the lowest level is a full-sized oak bed that’s been in the family for a long time. A “sleeping room” and a large dine-in full kitchen/living area. 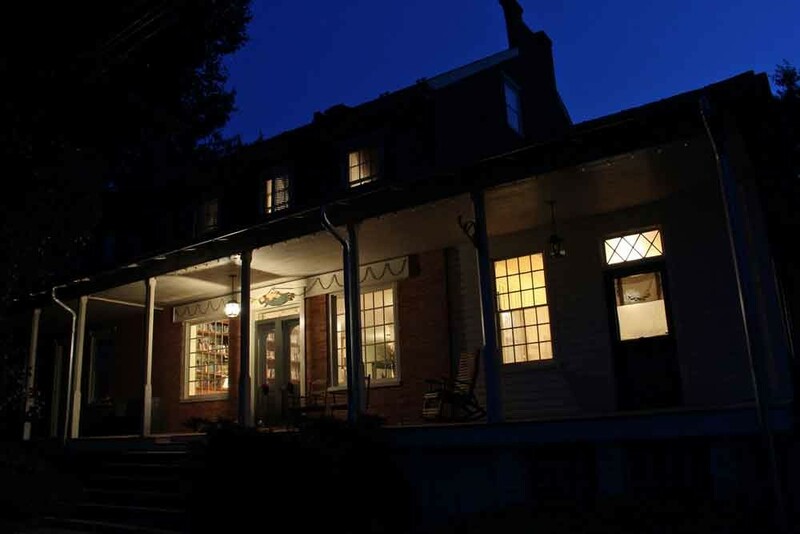 This suite adjoins our spacious common area-the general store/library. 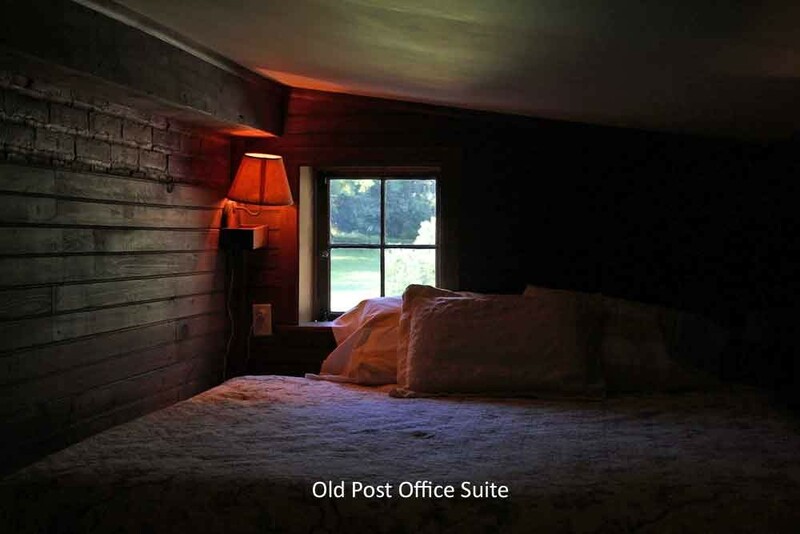 The Post Office Suite costs $125 per night. This rate applies for up to 2 guests.